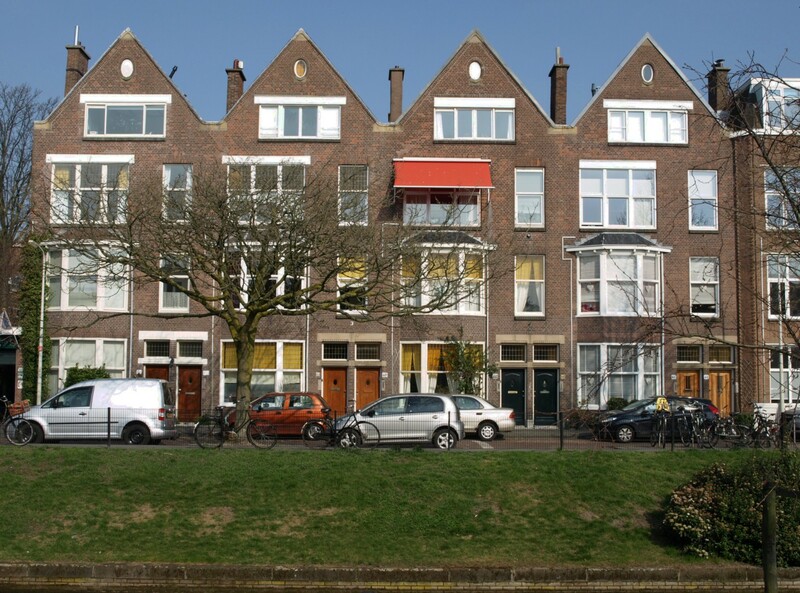 Block with four identical gables and eight apartments, Valkenboskade. 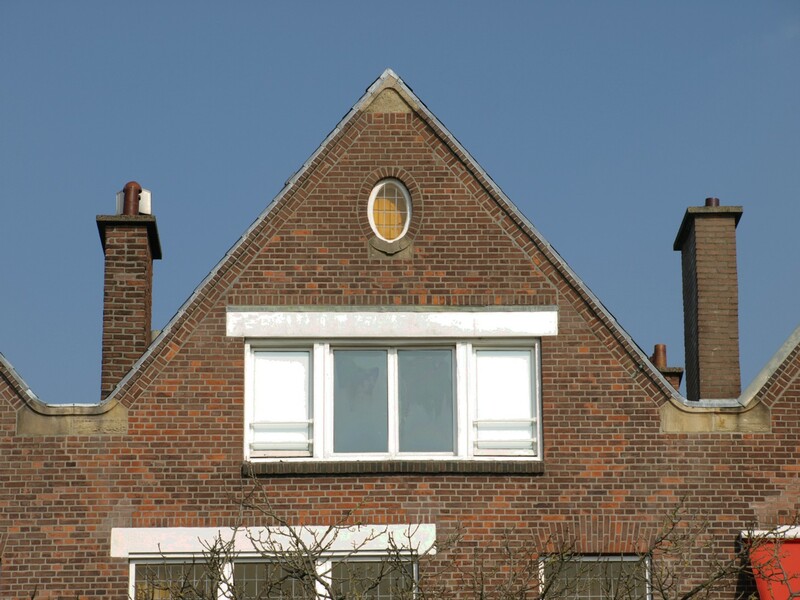 Built probably around 1920, the façade still retains its original character with its very sober but tasteful decorations. Six of the eight front doors even have the original designs. 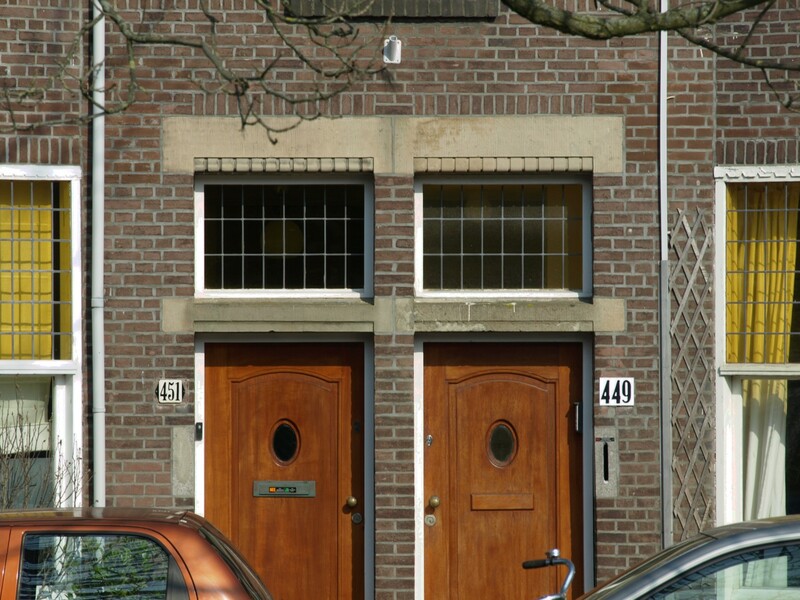 This entry was posted in Façades of The Hague and tagged Façades of The Hague. Bookmark the permalink.